Background: Meningioma is the most common primary non-glial intracranial neoplasm . It occurs in adults between the ages of 40–70 years of age and tend to occur more often in women, the reported average age for females is 42 and that for males is 52 . Meningiomas are benign but locally aggressive tumor, they are found in the following anatomic sites in descending order of frequency: parasagittal region, falx, cerebellar convexity, olfactory groove, tuberculum sellae, sphenoid ridge, petrous face (CPA), tertorium, lateral ventricle, clivus as well as other sites . Objective: The aim of this study is to evaluate the role of MRI in evaluating typical and atypical meningiomas and predicting its pathological behavior. 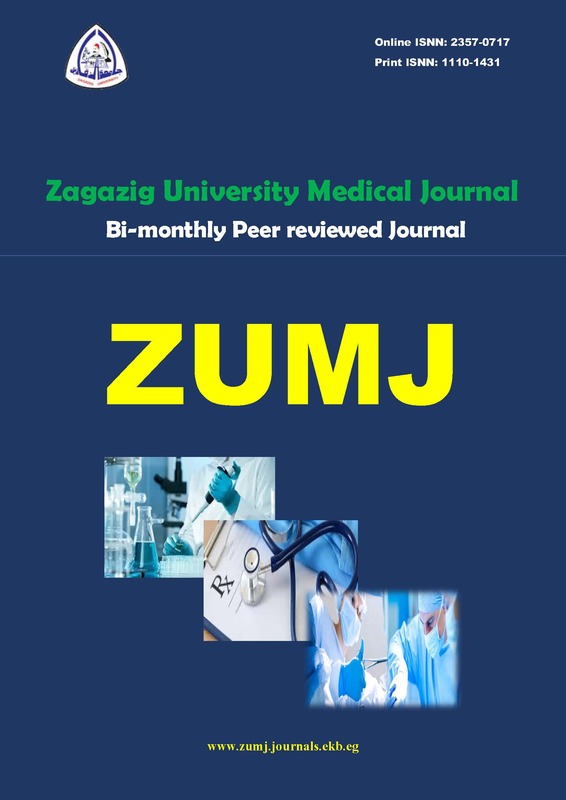 Methods: This study was carried out at Radio diagnosis Department, Zagazig University Hospitals, The present study was carried on 24 patients of typical and atypical meningiomas. Results : We studied 24 cases, 15 of them were typical and only 9 cases were atypical /malignant. Using routine MRI sequences, the meningiomas were diagnosed and DW images were performed using factor of b-0 and b-1000. Apparent diffusion coefficient (ADC) values were measured in the lesion and in the normal white matter. Atypical and malignant types tend to have atypical features by routine MRI such as: heterogeneous signal intensity, heterogeneous pattern of enhancement, irregular tumor margins, marked amount of peri-focal edema, bone or parenchymal invasion. Three or more of above mentioned atypical features could not be seen in the typical meningiomas being unique for atypical and malignant group. Diffusion weighted imaging which is a part of normal brain imaging protocol has a great role in differentiating typical from atypical meningiomas. In this study, typical meningiomas tended to have a larger ADC values & NADC ratios than atypical and malignant ones. Only one case of pathologically proven rhabdoid malignant meningioma (Grade III) has high ADC value & NADC ratio (features of typical type). Conclusion: Our results indicate that The distinction between benign and atypical / malignant meningiomas is neither easily nor reliably accomplished to date when assessing the imaging features of meningiomas on routine MR images.DWI is helpful in distinguishing benign from malignant and atypical meningiomas. Mean ADC values of atypical/malignant meningiomas were significantly lower compared with benign meningiomas. Mean NADC ratios in the atypical/malignant group were also significantly lower than the benign group.